Davide Colombi received a MSc in Physics in 2012 under the supervision of prof. Vittorio Loreto and of Dr. V.D.P. Servedio at "Università di Roma La Sapienza" with a thesis in Sociophysics, in particular in Opinion Dynamics. He investigate the consensus phenomena both analitically and computationally using an agent based model. Since November 2013, Davide works at ISI Foundation with Vittoria Colizza and Chiara Poletto in the PREDEMICS projet. 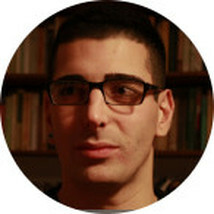 Davide's main research activity is the theoretical and computational modeling of spread and persistence of rabies in canine population. In such kind of disease it may be critical to understand the role of heterogeneity of the latent period in the maintenance and the diffusion of rabies in dog populations, in particular in the context of different dog population structures.